Cleaning services don’t stay in one place. Crews move between customers’ houses. Managers work at the office, and check in at home or on the go. 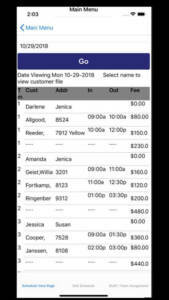 With MaidEasy™ online software, cleaning service owners can log in and manage their business anywhere they have an internet connection. Since software and data are stored online, this software can be accessed from any internet browser or device with any of our monthly payment plans. With our Pro-Plan, staff can also login to the website or use the convenient mobile app via smart phones or tablets when they’re on-site. They can check schedules, work order details, and log the time in and time out on each job for the day. Check out pricing and benefits below! The internet goes everywhere, but laptops and desktops don’t. 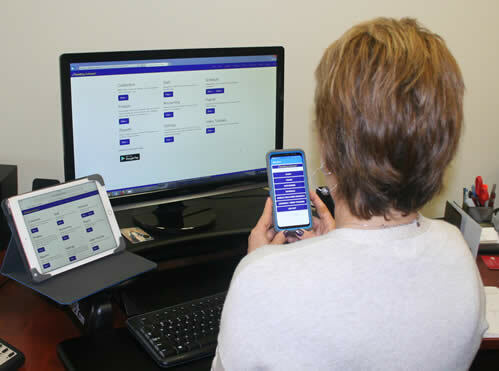 With the MaidEasy mobile app, those who use our Online Edition can access their information through cell phones and tablets. Our app works on both Android and Apple systems. Log in and view their schedule. Enter their Time In and Time Out. Check out the features and pricing for our Online Edition below. Ready to take a look at MaidEasy Software? 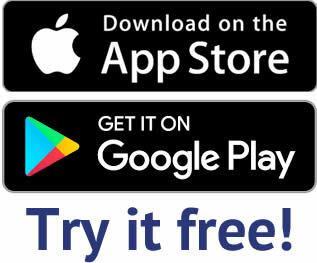 Try it FREE! MaidEasy Software © 2018 All Rights Reserved. Sitemap | Website design by Catena Creations LLC.